New type 2 diabetes treatment 'easier, cheaper' option. About 20,000 Australians suffering type 2 diabetes will be able to swap twice daily injections for a weekly treatment, and save around $1,600 per year under a new medicine to be placed on the Pharmaceutical Benefits Scheme (PBS). Federal Health Minister Sussan Ley announced the new diabetes treatment Exanatide will be subsidised under the PBS from September 1, along with an extra $70 million investment in the scheme for a cervical cancer drug and a treatment for a rare growth disease. “This is easier, it’s cheaper and most importantly for people with type 2 diabetes, up to 20,000 who can benefit from this treatment, it will avoid long term complications,” Ms Ley said. “Unfortunately Australia has a very high rate of diabetic amputations, all of which are avoidable. The national peak body for diabetes has welcomed the listing. “What it means is for a lot of people living with type 2 diabetes they have several injections a day and this will actually reduce that to once a week,” the association’s Renza Scibilia said. 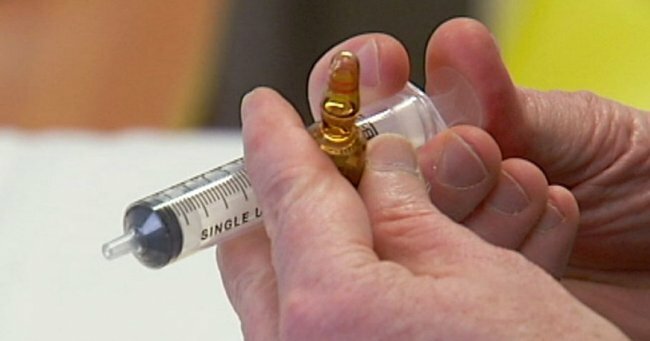 Women not responding to cervical cancer treatment will have access to the drug Avastin, which will cost the Government $60 million to list on the PBS. The Health Minister said it would greatly ease the financial impact on cervical cancer sufferers. “For a woman who accesses this treatment, she will pay what would otherwise be $55,000, but it will actually cost the price of a script — $6.10 or $38,” Ms Ley said. Ten million dollars has also been set aside for a drug to treat the rare condition Acromegaly, which causes abnormal growth of the hands, feet and face. Ms Ley said the Government had brought about several efficiencies in the PBS to be able to afford the extra investment, including pushing for the use of generic medicines. Shadow Health Minister Catherine King welcomed the listings, but said Ms Ley was not telling the full story when it came to the PBS. “She wants to make medicines unaffordable for a whole range of other patients,” Ms King said. “What this Government is intending to do is increase the cost of the pharmaceutical benefits, your every script, by $5 for general patients and $0.80 for concessional patients. “We know already that there are patients who are not filling their scripts because they can’t afford to do so.